Have you ever dreamed about creating a vacation destination right in your own backyard? 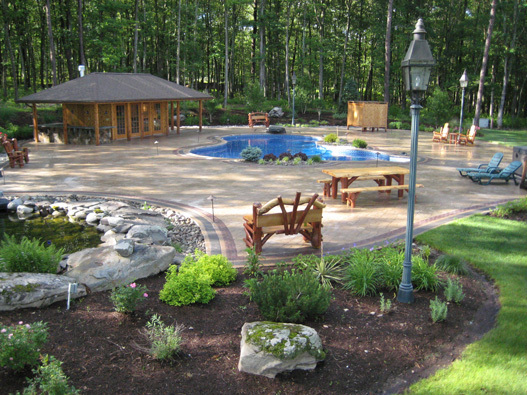 JIM'S LAWN DESIGNS will design, install and manage your inground swimming pool project. Custom pool designs may include a patio, spa, waterfall, outdoor kitchen, BBQ, fireplace, outdoor living room, pergola, lighting, irrigation, fencing and plantings combined to suit your lifestyle.